A luxurious and well-equipped house must have a stunning bathroom. 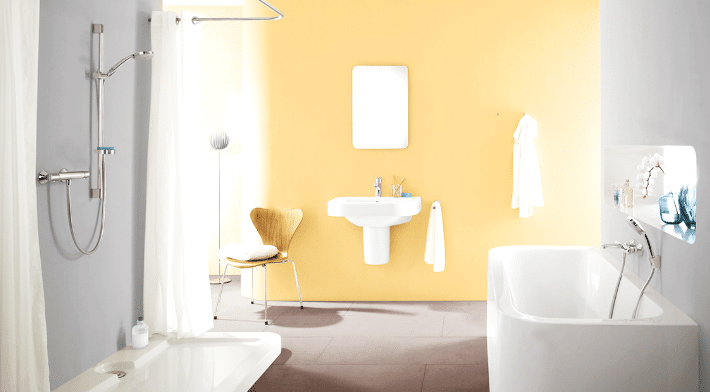 Without amazing quality of the bathroom the house would not be able to realize its true value and homeowner would not be able to attain the optimum level of comfort. An amazing home packed with a perfect bathroom would instill a sense of excellence and perfection to the home. It is extremely tricky to find a perfect balance between comfort and beauty. In most cases an interior either sacrifices comfort in favor of beauty or vise versa. But this amazing design packs the best of both worlds. This design embodies an immense sense of style and elegance without sacrificing the utility and comfort. An amazing space designed with perfection. The beautiful use of marble paired with this grand space results in a spectacular design that would take your breath away. (Interior Design, home renovation Image Credit: Hansgrohe) Clean and crisp designs have an extraordinary feel that creates a stunning look. This beautiful design uses the principles of cleanliness and simplicity to create an extraordinary design. The perfect use of marble combined with quality of sanitary ware creates a unique and stunning look. The hanging lights further add to the delicacy and subtlety of the design. 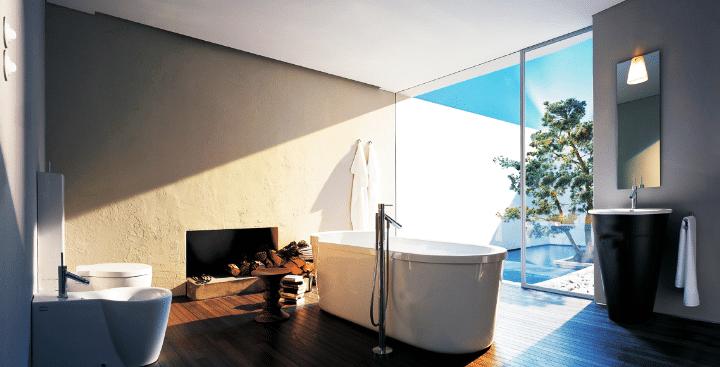 The dreamy bathtub instills a sense of luxury into the bathroom. This is a luxurious space packed with all the comforts and having an extremely beautiful look.